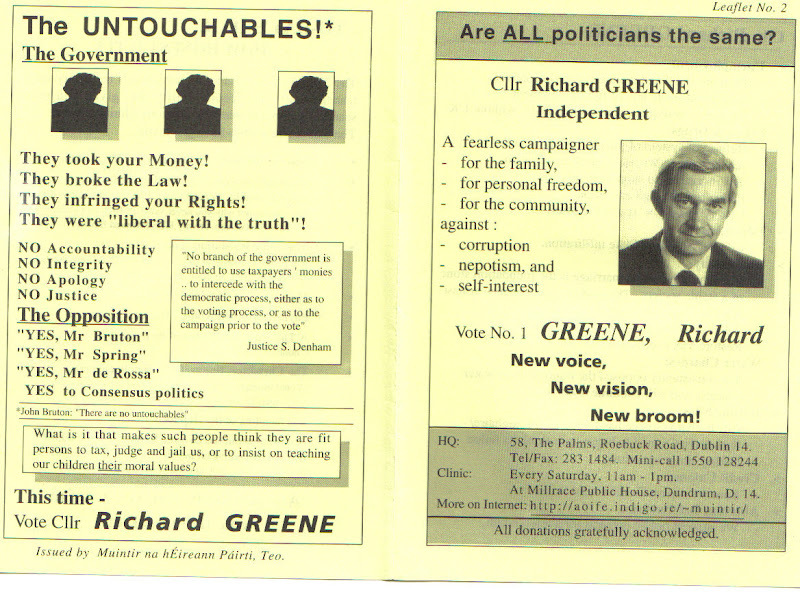 From the 1997 General Election in Dublin South, Richard Greene running for Muintir na hÉireann. The party may not have been registered at the time so Greene would have been classed as an Independent. Greene polled 1,431 votes and failed to win a seat. It had been founded in 1994 and lasted a number of years. Although Richard Greene was a Councillor in 1997 , he had been initially elected as a Green Party councillor for Clonskeagh before a parting of ways. The party never had anyone elected. Emmanuel Sweeney who stood in the 2009 local and European Elections was also a member of the party. Richard Greene is now known for his involvement in Coir. In the wake of the Lisbon 2 result, Cóir are considering becoming a political party. 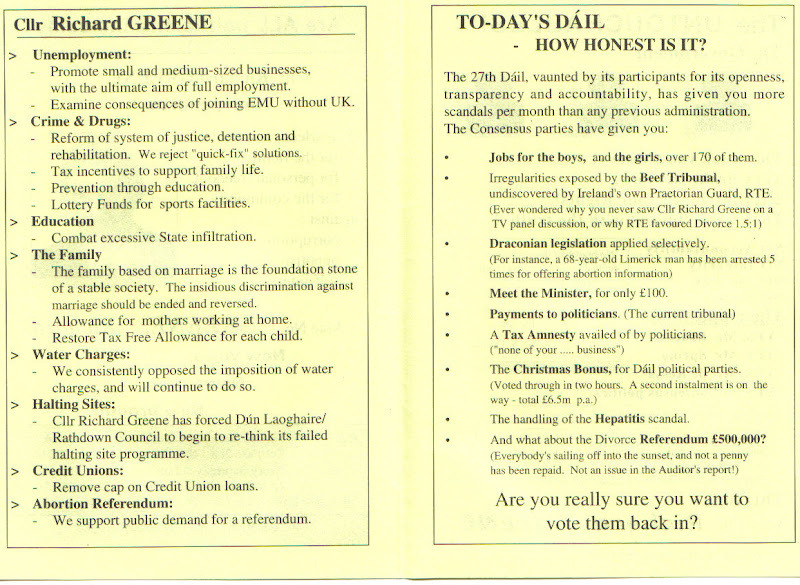 This is some of the election literature of Richard Greene one of the main Cóir spokespeople. Greene initially elected a councillor for the Green Party in Clonskeagh, left and founded his own party Muintir na hEireann. 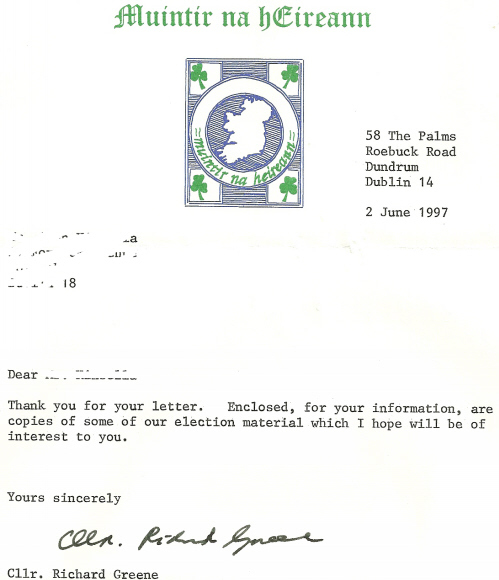 This is some of his literature from the 1997 General election.